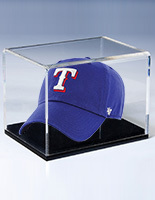 This baseball display case features a clear acrylic design to display a variety of memorabilia or collectibles. 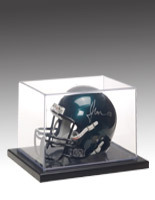 Constructed with a 1/8" thick acrylic lid, the collectibles will be protected from unwanted dust or damage. 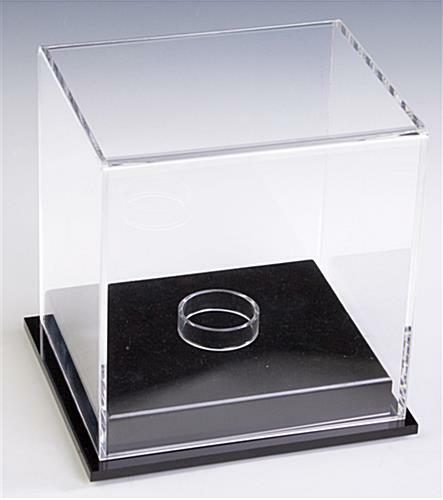 This baseball display case, also known as a sport memorabilia holder, has a translucent finish with a black acrylic base. 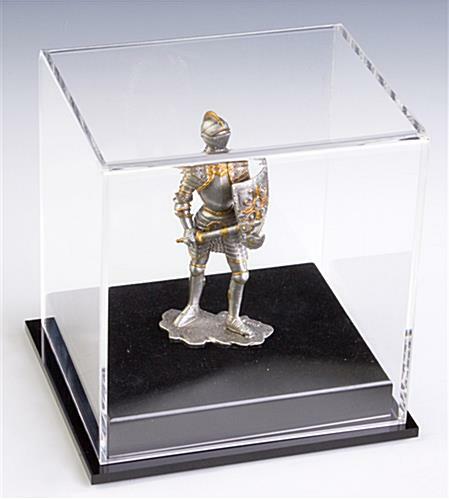 Collectibles will look attractive in this baseball display case. 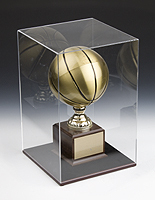 With richly beveled corners, this baseball display case adds an upscale appearance to the display items. 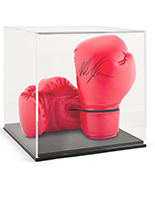 This memorabilia holder, baseball display case also comes with four rubber feet to prevent the display case from leaving scratches on your countertop surfaces. 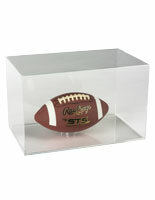 This baseball display case also includes a removable acrylic riser for holding round objects in place. 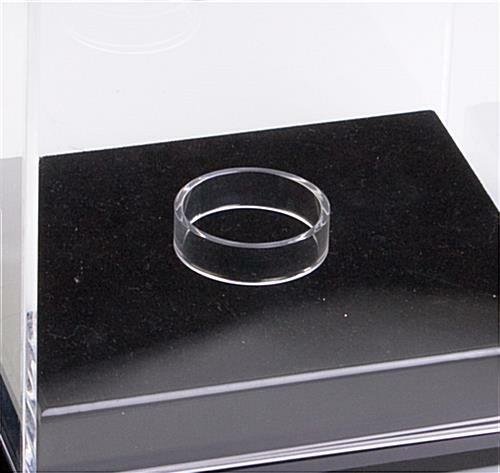 If you would like to showcase other flat-base collectibles, simply remove the riser. 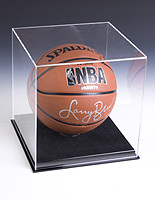 Preserve your autographed sports memorabilia or collectible antiques using this baseball case. 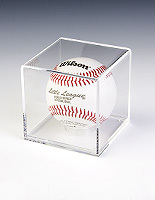 The contemporary and elegant design of this baseball display case makes it great for use in offices, homes, schools and retail stores. 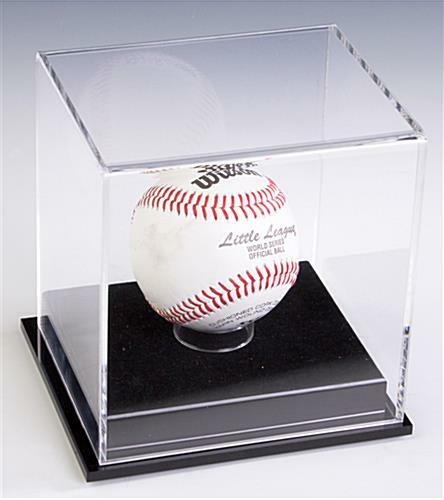 Display your favorite autographed baseball or collectible figurines proudly using the baseball display case.